Over the past few weeks, this question has played out like a broken record in my mind. Through the years, I could see that my partner and I ended up repeating the same patterns of disagreeing, arguing, and shutting down. We would patch over our hurt feelings until the next disagreement came along. However, this time, it felt different. Anxiety was running rampant in my household. My husband cut me deeply with his remarks. Day in and day out, it was angry words or no words at all. There was a tightness in my chest. The feeling of anger moved to sadness, and then back to anger again. I didn’t recognize myself as I spewed venom back at him. We could not come to a compromise, and I had become someone else. Not at all what I had envisioned for my marriage as we stood face to face on our wedding day, pledging our love to one another. Not even close. I know the let down of having to navigate the problem spots in my marriage, while continually struggling to have my needs met by him. What are my needs exactly? I am discovering more and more about what drives my needs every day. By nature, I am a peaceful person. (Enneagram type 9.) I love my peace and sometimes will ignore important things to have it. “Peace, at all costs,” as a friend once told me. If you’re like me, you know how it feels to not need to wear the pants in your family. You don’t have a desire to establish power over anyone. The idea of being bossy is foreign to me, and being the “boss” is not something I would fight to achieve. Instead, I enjoy helping, lifting up, and supporting. The fact is, even if we are not “controlling” by nature, we do fiercely want control over our lives. We all have innate desires that we must actualize in order for us to flourish. As we grow older, we become aware that our time here is not infinite, and we naturally become less willing to bend. Our willingness to fight for what we need becomes greater as we push others to see our point of view. So the story goes.. I could see the harmful patterns that have led my marriage here, and I wanted to do something. I wanted to fix it. I was calm, I was wise, I was inspired. I was peaceful. At least I had been. Deep down, I knew I was not going to be able to convey my sadness to him without going back to anger. We were already in Damage Mode. Anything we said to one another was destined to end up in a hurtful exchange. I don’t see myself as an argumentative type; it goes against the very grain of my being. Regardless, I refused to back down or give in. I have a handle on what I require in this life, in this marriage, in this home. 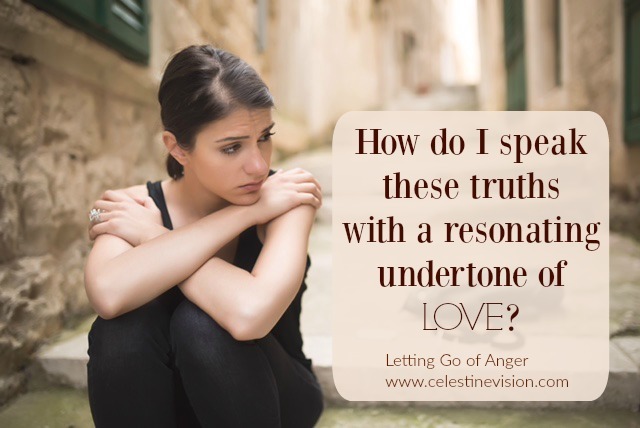 How, then, do I speak these truths with a resonating undertone of love?